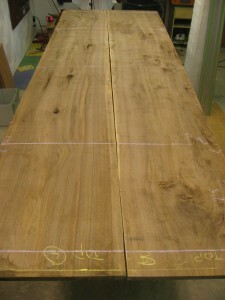 First I want to decide how to orient the top boards. So I looked them over, turned them around, and flipped them until I was happy with the top side and match. They ended up in a slip-match but one board is turned 180 degrees because they taper in width top to bottom by 4-6″ (just like a tree). This way I get the maximum total width from just two boards. Once decisions are made, I use chalk to mark the pieces. Now it”s time to get to work: flattening the top. 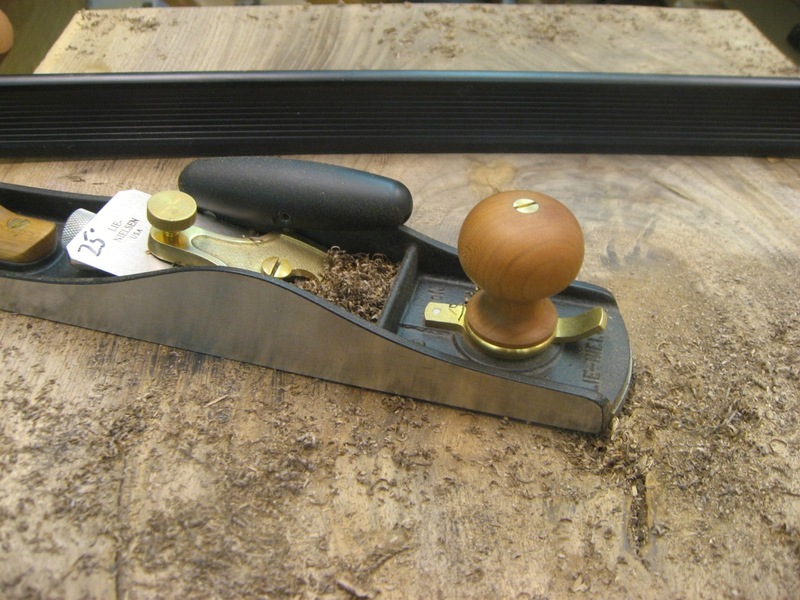 My Lie-Nielsen #62 becomes the workhorse for these boards since they are too big for my jointer / planer. A toothed blade does nice work, quickly.